Added on 06 February 2019 . By Olivia Cheves. Ben McKellar has done it again, the 'Ginger chef' himself is ready to launch his fifth venue from the Gingerman Restaurant group, and it's set to be something fans of the sister sites may not have seen before. With a focus on fresh, simple small plates made with locally-sourced goodness, the open kitchen will also be churning out some larger sharing dishes and tasty snacks too, perfect for pairing with a few of the bottles on their list of quality wines. 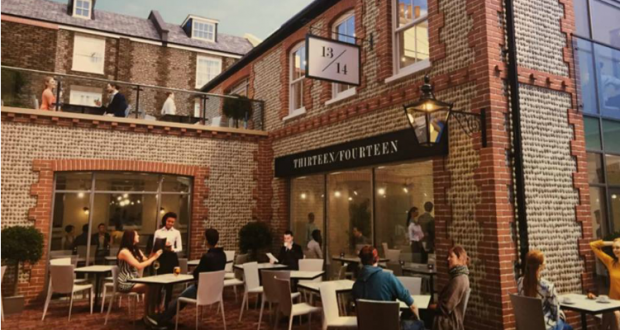 Set over two floors, the new 50-seater eatery will also feature an outdoor courtyard and even a swanky roof terrace designed primarily as a hub for cocktails and wine, but a bit of food will also be available for soaking up the hard stuff.